Airfoil co-CEO Janet Tyler tweeted Monday morning that she has resigned as the firm's co-leader. 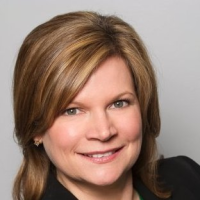 SOUTHFIELD, MI: Airfoil co-CEO Janet Tyler tweeted Monday morning that she has resigned from the firm she co-founded fourteen years ago. I've resigned from Airfoil to explore other career opportunities but I still have that Monday morning, take the world by storm mentality! Tyler, who was not immediately available for comment, led both international business strategy and services growth at the firm, which she co-established with Lisa Vallee-Smith in 2000, according to her LinkedIn account. Previously, she was an account manager at Franco Public Relations Group as well as the director of marketing at New Horizons Computer Learning Centers. Vallee-Smith said via email that Tyler resigned effective October 26. "After more than 14 years of starting up and running a successful agency, she has made the personal decision to move on and explore new opportunities. She leaves the firm with much to be proud of: starting up our Silicon Valley operation, leading and growing our business over many years, and establishing our global partner networks," Vallee-Smith said. "We wish her all the best in the next phase of her brilliant career." As of Monday afternoon, Airfoil’s website listed Vallee-Smith as president and sole CEO of the firm. An Airfoil representative was not immediately available for comment. In June 2011, Tyler sat down with PRWeek editor-in-chief Steve Barrett to discuss the state of the tech market. This story was updated on November 3 with comment from Vallee-Smith.